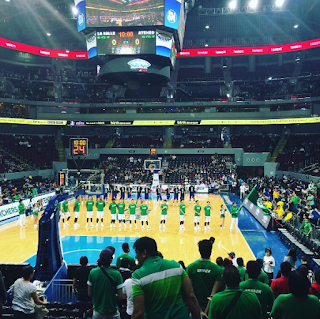 After calls from the managements of the two universities to wear black on Sunday's bout between Ateneo and La Salle in UAAP, majority of those who watched totally ignored the calls. The move was meant to denounce the impending Hero's Burial for Marcos and against President Duterte's war on drugs. As evident in photos circulating the web on Sunday, majority of the supporters from both team didn't heed the calls from the management. See the posts below from the people who were at the event.